Built in 2004, the Grandview Boston, though by and Atlanta-based firm, Radco Cos., captures all of Boston’s charm and beauty. 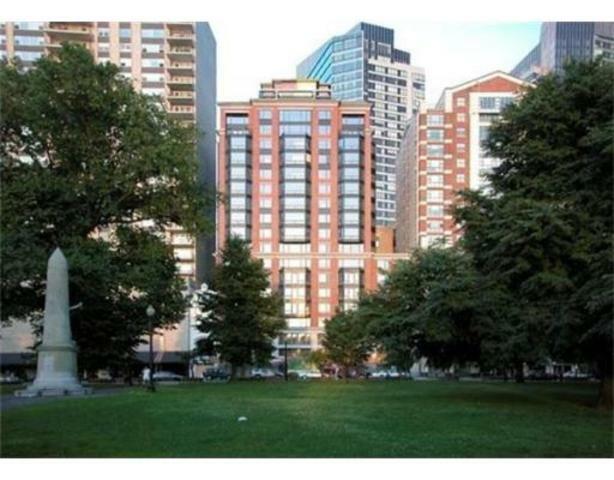 On the edge of the Boston Common on Tremont Street, the Grandview is close to restaurants, shops, and businesses in Downtown Crossing, the Financial District, Chinatown, Beacon Hill, and the North End. The central location gives you easy access to all the amenities you need. The Grandview is home to 61 residences, ranging from 1 to 4 bedrooms. Depending on the location of your unit, you will have spectacular views from the floor to ceiling glass windows looking out to the Charles River or the Boston Common. To have an even more complete and panoramic view, you can go to the common rooftop terrace. This space can be used for a personal escape or to entertain guests. Other entertainment spaces include a resident lounge and reception area. Within the home, open living spaces, stainless steel kitchens, and marble bathrooms provide a space where you can easily relax or entertain friends and family. Building services, such as 24/7 concierge and security, fitness center, and parking garage offers you convenience and ease.